Tourist Places in India offers complete information on the city of Bharatpur,Bharatpur Tour,Wildlife Destinations in Bharatpur,Wildlife Tours in Bharatpur,Bharatpur Wildlife Tours, Bharatpur Wildlife destinations,Wildlife Tourism in Bharatpur. Bharatpur, considered as the Eastern Gateway to Rajasthan, was founded by Maharaja Suraj Mal in 1733 AD. It is a fortified city and played an important role in molding the History of Rajasthan. The city and the Fort is said to be founded by a Jat named Rustam. Maharaja Suraj Mal took over the fortified city from Khemkaran, son of Rustam and established his empire. The city of Bharatpur is 184 km from Delhi and borders with Dausa District in south-west and Alwar District in the North-West. The city is famous for its wildlife sanctuary. 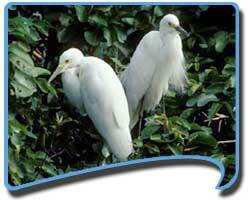 Known as the Keoladeo National Park, which is a delight for the bird lovers. During the period of British rule in India, it was known as the Best Duck shooting resort, but in the year 1956, it was declared a bird reserve and later in 1972, it was declared a National Park. The park is named “Keoladeo” after the name of the temple of Lord Shiva in the park. This park has its place among the UNESCO World heritage list since 1985. The park is spread over an area of 29 square km and lies 370 m above the sea level. Much of the area inside the park is bushy, but it also contains semi arid woodland and scrub. Over 50 species of fishes, 5 species of Amphibians, 8 species of lizards, 13 species of snakes,7 species of turtles, 375 species of birds and 27 species of mammals have been found in the park. Important birds that adorn the sanctuary include cranes, storks, spoon bills, white ibis, Cormorant, Darters, Herons,Egrets, geese, ducks, pelicans, flamingos, eagles, vultures, owls, and kingfishers. The crane population in this sanctuary has been continuously decreasing. It was 200 in 1964-65, but decreased to 02 in 2000-2001. A total of about 35 species of butterflies have been reported in this park, of which Pieridae are the most commonly occurred followed by Nymphalidae. Jungle cat, Fishing cat, Toddy cat, Jackal, Hyena, Flying fox, Porcupine, Blue bull, Sambar, Mongoose and Red faced monkey. Major fish species that are found in this sanctuary include Notopterus, Oxygaster Danio,Chela, Labeo, Catla, Cirrhinus, Puntius, Botia, Mystus, Ompok, Wallago,Clarias, and Channa. One can visit the park both during the monsoon and the winter. The monsoons are the breeding season for both resident and local migratory birds while in the winters a large number of migratory birds come from Europe and central Asia. There are wonderful lodging facilities in the city for the tourists. ITDC runs forest lodge both inside the sanctuary, while the RTDC runs Saras Tourism Bungalow outside the park. Touristplacesinindia.com is an international travel site and a repository of useful information on Bharatpur and on other related information on the city.